. 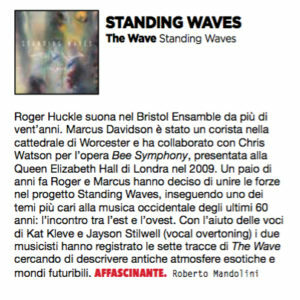 . . the two musicians recorded the seven tracks of The Wave trying to describe ancient exotic atmospheres and futuristic worlds. Captivating! 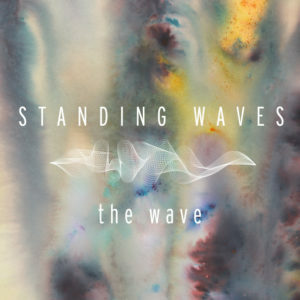 Standings Waves perform music from their newly released album “The Wave” and the Bøen/Fiskaaen flute and Guitar duo premier 4 Balkan Dances by Marcus Davidson. Great article in November´s Bergensmagasinet by Magne Fonn Havskor about Standing Waves. Standing Waves on 5th November 2016 at Østre, Bergen at 20:00. 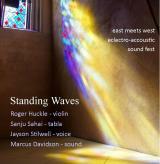 The concert is entitled Standing Waves – east meets west, sound fest! Sangu Sahai is one of the greatest tabla players of the Benares tradition, with a world wide reputation. Jayson Stilwell is one of the UK’s leading overtone singers, and has been collaborating with Marcus over several projects. Event information can be found here and here.